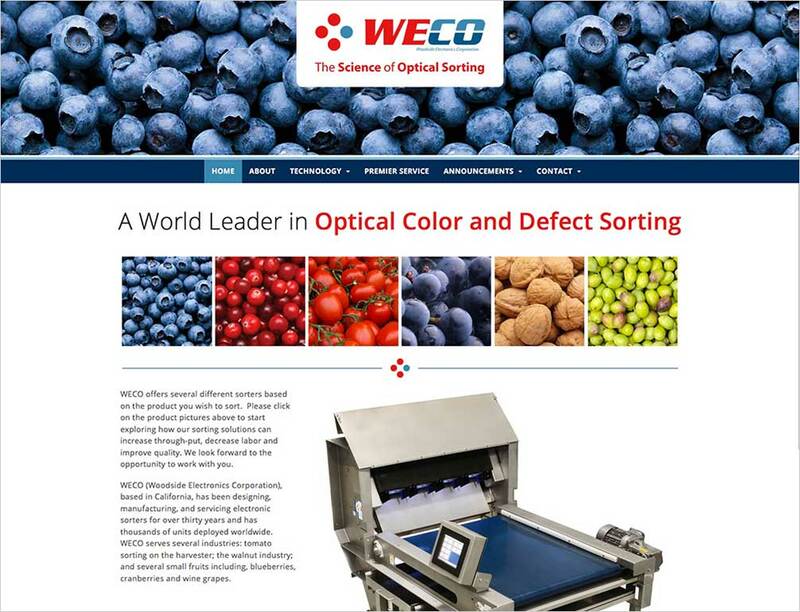 Weco builds state-of-the-art optical sorters for farmers, orchardists, and vintners around the world. We built them a new WordPress website from their graphic designer’s specifications. In addition to adding complex sales-inquiry forms and making sure their custom design was responsive we included our standard suite of site customizations and premium security, backup, and optimization plugins.